SCHAFFRATH – Unique diamond jewellery since 1923. 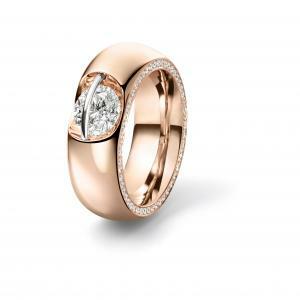 The highlight of the patented "Liberté" collection with free-moving diamond. 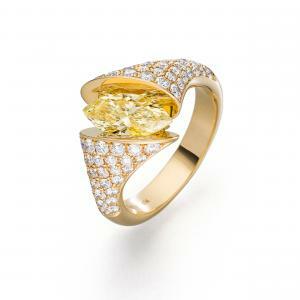 Design, form and function merge into an incomparable diamond ring. 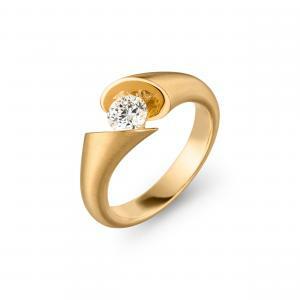 Design icon and solitaire diamond ring with distinctive shape and effect. 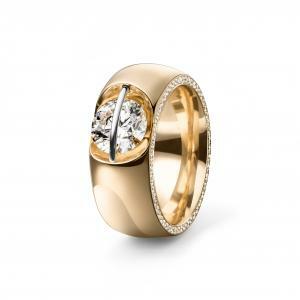 Almost floating, the diamond seems to be held in the ring. 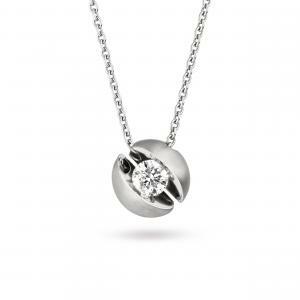 Highly polished mirror surfaces frame the centre stone. Genuine diamond jewelery can be really edgy, as proven by the new »Colortaire« bracelets by SCHAFFRATH. Colorful cords mix with gold and diamonds. The innovative closure always guarantees perfect wearing comfort.